Do you want your kids to enjoy travelling the world as much as you do? Kids love recognizing places and people, solving puzzles about ancient sites, colouring pictures of famous monuments, and they especially love knowing more than their parents do about a new place! Created by a teacher and parent, Greenfeet Guides help create a unique travel experience for your children. Stories and Activities: Our stories get kids excited about the famous and historic people and places they are likely to encounter in their destination country. Our travel activities engage kids in a variety of tasks to help them learn and observe while they are out and about. Some kids like reading; some like puzzles; some like drawing; some like running and being outdoors. Whatever their interests, Greenfeet Guides offers something for your child. Culture and Nature: Greenfeet Guides highlight significant historical and natural sites and phenomena around the world, ranging from national monuments and historical figures to powerful rivers and endangered species. We hope that our activities help children appreciate and ultimately become stewards of our planet's cultural and natural treasures. Experience and Engage: ​Our travel books help kids navigate the abundant opportunities that world travel offers, by inviting them to focus on specific things such as monuments to explore, foods to eat, animals to observe, and customs to follow. We hope this facilitates deeper travel experiences which lead to longer lasting impressions from their trip. I am so glad I bought these for the kids. We did a couple of the activities before we went, which got them ready for the holiday. At the temples, the guide was indispensable - it really helped them engage in the temple experience and make it fun for us all. I was raving about this book on our trip. I absolutely loved it while traveling in Cambodia with my two kids. I am eagerly awaiting more of your travel guides! Will definitely be purchasing more in the future. I got this guide for my two children, aged 5 and 9, ahead of our trip to Cambodia. They really enjoyed reading it and colouring it in before we left; when we were in Cambodia, they were able to track their own trip through the journey detailed in the guide. I really recommend the guide and will purchase the other versions, as they are both interesting and informative. We just returned from a family trip to Cambodia, and my 8 year old had a blast with the Greenfeet Guide. Additionally, we parents learned a lot of basic facts as well. ​Very well put together and a lot of fun. Loved it. I wanted him to be engaged in the culture but in a way that was accessible and interesting to him. He really enjoyed using it. Fantastic! A must buy for anyone seeking sanity while traveling with kids! I can't imagine doing another family vacA without these guides! We need more of these guides for every major destination out there. Full of fun, informative, and sure-to-interest-your-otherwise-screen-addicted-child-activities, the guides added a completely different dimension to our trip. By prepping the kids for the trip through hands-on puzzles and steps, we had less screen time on the flight over, and in country, the kids knew more about some of the sites than we did! They were so smug and delighted in pointing out all that we didn't know! :) A great gift for those who are traveling to Cambodia with kids (Angelina Jolie - are you listening?). Adults, not a bad idea to look through these too - they're a treasure trove of info. The kids LOVED having their own guidebooks and were so excited and engaged throughout the trip. The book is organized into “before you go” and “while there” sections, and includes age-appropriate stories, activities, and facts. My 6 year old son really enjoyed doing the scavenger hunt activities at the temple & coloring in the pictures in the Cambodia Scout Guide. The instructions were simple enough that I could give him quick directions, and he would stay occupied with each activity for awhile. My 8 year old daughter (who had the Cambodia Trailblazer Guide) loved reading the story and doing the drawing and writing activities. I love that the books also encouraged them to engage with the culture—teaching about how to greet others, the foods that are eaten and even how to use a squat toilet! ​If there’s one travel book I would wish for every kid out there – it’s their own travel journal filled with their travel experiences, thoughts, and opinions. The Cambodia Kids! travel journals are that and more. HOW ARE GREENFEET GUIDES DIFFERENT THAN OTHER TRAVEL BOOKS FOR KIDS? Greenfeet Guides offer a unique combination of stories AND activities to help children engage with the country they are visiting. Stories help kids get excited about people and places. Imagine how excited your kids would be if they saw a statue of their favourite superhero on their trip, or Platform 9 3/4 at London's King's Cross Station where Harry Potter makes his way to Hogwarts, or the wardrobe that led to Narnia! They get excited because they know and love the stories about that person or place. Without the story, there's nothing to distinguish one temple or statue from any other temple or statue they may have seen. But WITH the story, that person or place can have a whole new meaning. That is why each Greenfeet Guide begins with a story about a famous character or place, so kids can be engaged with a compelling story about where they are going and have something familiar that they can look forward to seeing. The characters from the story then guide the children through the various activities and give children specific things to observe, record or think about on their trip. Separate guides are available for little kids and big kids. Scout Guides are designed for kids ages 4-6 yrs who are just developing their reading skills, and Trailblazer Guides are designed for kids 7-11 yrs who can read independently. Each guide has age-appropriate stories and activities to meet the needs of different kids, but the guides also have similar formats so families with different aged kids can easily use them simultaneously. Different formats to suit each family's needs. Greenfeet Guides are available as Do-It-Yourself Downloadable PDFS which can be printed and assembled on the go and off-the-shelf Print Books with a hardback cover, secure pencil/crayon, and fun stickers. Developed by a parent and experienced educator. Greenfeet Guides founder Ambika Anand Prokop has many years of experience developing activity-based educational materials for children to learn through experience and from their environment. The activities in Greenfeet Guides help kids more closely observe the place they are visiting. The activities are multidisciplinary and offer kids opportunities to practice their reading, writing, math, problem-solving, drawing, and navigation skills (among others), depending on each child's interest. HOW DO WE USE GREENFEET GUIDES ON OUR TRIP? Use Greenfeet Guides to prepare for your trip with the "Story" and "Before-You-Go" activities. Your kids can start using the guides before you leave for your trip. The Story section with its picture story for younger kids and comic-style story for older kids is designed to introduce characters and places to get them excited about things they may see when they arrive. Before-You-Go Activities are introductory activities which kids can do before they leave or on the plane, to prepare them for where they are going, why that destination is interesting, and things they might want to do on their trip. Use Greenfeet Guides to keep kids busy wherever you are at your destination with the "Anytime-Anywhere" activities. The Anytime-Anywhere activities can be done at any time and in any place (at the hotel, in a restaurant, at a monument, etc) especially when kids are bored or need to be engaged. These activities are designed to help kids observe and learn about the general culture and natural highlights of the country they are visiting. Greenfeet Guides are small (A5 notebook size) and portable, so kids can take them wherever they go. Use Greenfeet Guides to keep your kids engaged at a famous site or monument with the "Site-Specific" activities. Young children (ages 4-6 yrs) may need assistance from an adult to read the Scout Guide story or the instructions, but once they understand the activity they should be able to complete it on their own. Stickers are included in the print book format, for kids to place on each activity they complete. Older kids (ages 7-11 yrs) should be able to complete the Trailblazer Guide activities independently without much help from an adults. An answer key is provided at the back of the book for those activities which have specific answers. Activities labelled as Group Activities are ideally completed with an adult, either because they are more difficult activities or because the activity requires some reflection which would be nice for kids to share with their families or teachers. Stickers are included in the print book format; when kids complete a certain number of "Anytime Anywhere" or site-specific activities, they can place the "Official Trailblazer Badge" stickers in the guide. WHICH GUIDE IS BEST FOR MY CHILD: SCOUTS OR TRAILBLAZERS? Scout Guides are designed for children who are not yet reading or just starting to read, typically ranging from 4-6 yrs. The story and instructions are written in large print and simple language for beginning readers. The activities are designed for little kids to do independently, but depending on their reading level, kids may need help from an adult to understand the directions.The whole book can be used as a colouring book, so children as young as 3 years can use it. Trailblazer Guides are designed for children who already read independently, upto the age of 11 yrs, but many adults have commented that they enjoyed and learned a lot from the guides too! The best way to choose the guide is based on a child's reading level, as skill levels vary widely. A child who is 7 years old, but not reading fluently would enjoy the Scouts book more, while a child who is 7 and a very proficient reader may enjoy Trailblazers more, even though some of the activities may be conceptually more challenging. WHAT IS THE DIFFERENCE BETWEEN THE PRINT BOOK & THE DOWNLOADABLE PDF? The content of the Print Book and Downloadable PDF is EXACTLY the same: only the formatting and cost are different. The Print Book format is "ready-to-go": a spiral bound A5/half-letter size notebook, with a colour front cover and hard back cover for ease of writing. It includes a crayon or pen, and stickers for children to get when they finish the activities. The print book is more expensive and requires time for shipping. It is available by online order from our Shop page. The Downloadable PDF format is a simple D-I-Y black & white version of our guides which you can print and assemble yourself in 4 simple steps: download, print, cut/fold and staple/clip together (you provide the printer and stapler/paperclips). This version is less expensive than the Print Book and available immediately by online order. HOW DO I ASSEMBLE THE GUIDE FROM THE DOWNLOADABLE PDF? This will take ~10 minutes of your time per book, and requires a black & white printer, 2 large paper clips or stapler, scissors (optional), and a pencil. The Scouts Guide is approximately ~25 A4/letter-sized pages (single-sided) and the Trailblazer Guide is ~35 A4/letter-sized pages (single-sided). Step 1: DOWNLOAD the PDF version depending on your printing capability: A4 or letter size. Step 2: PRINT the book. For A4 paper, print at 100%; for letter-size paper, select "Scale to Fit (letter size)" or print at 95%. If you are printing double-sided (recommended), select "Flip on the long-side" for the Scout Guide and "Flip on short-side" for the Trailblazer Guide. Step 3: CUT the pages in half along the dotted lines, and order them sequentially. For double-sided prints you can also simply fold the book together along the dotted line, however cutting the pages allows for easier opening of the book. 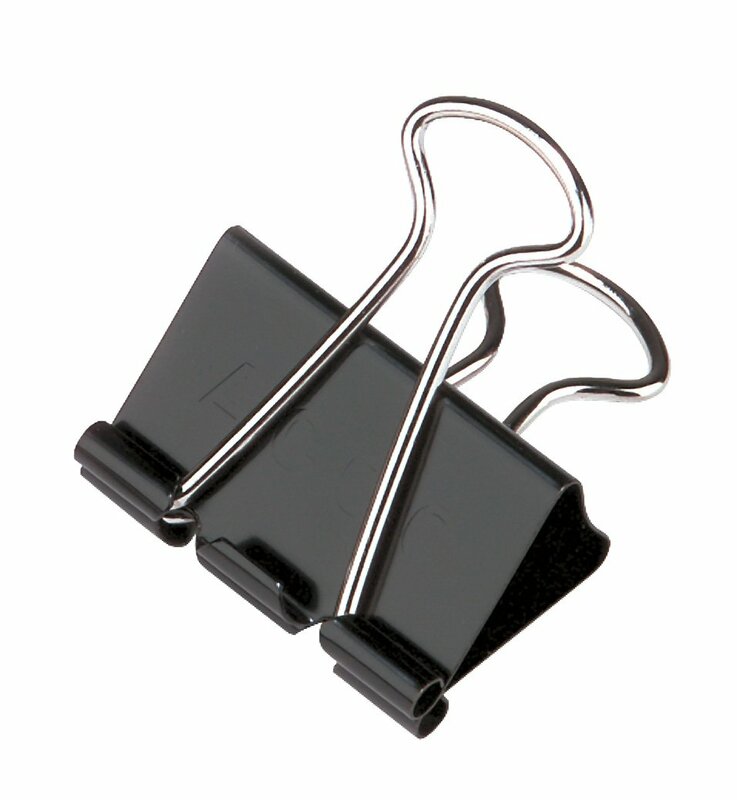 Step 4: CLIP OR STAPLE the pages together with 2 large paper clips (black metal binder clips work best). The single-sided version is more bulky so will require a larger clip than the double-sided version, or you can also clip or staple the sections separately (Story & Before-You-Go Activities, Anytime-Anywhere Activities, Site-Specific Activities)*. Some parents have chosen to use a hole-punch and put the pages in a binder. Give your child the book along with a pencil (or coloured pencil for young kids), and the guide is ready to go. WHY ARE SO FEW GREENFEET GUIDES AVAILABLE? 1. Greenfeet Guides' content is developed in the field and on the ground. Maintaining our high standard of content so that families can have a good experience requires a lot of time and due diligence. 2. The Guides tend to focus on countries which are "emerging" global destinations for families travelling with young children. Because less online information is available for these countries, more on-the-ground field research is required. 3. The lead author is a busy mom herself, but promises to get more guides out as quickly as she can. If you'd like to become a Greenfeet Guide writer, please contact us! ARE GREENFEET GUIDES REALLY GREEN? Figuratively yes, literally no! Greenfeet Guides' founder worked for many years in the environmental field and strives to be a good steward of our planet. ​and books and videos on Cambodia.